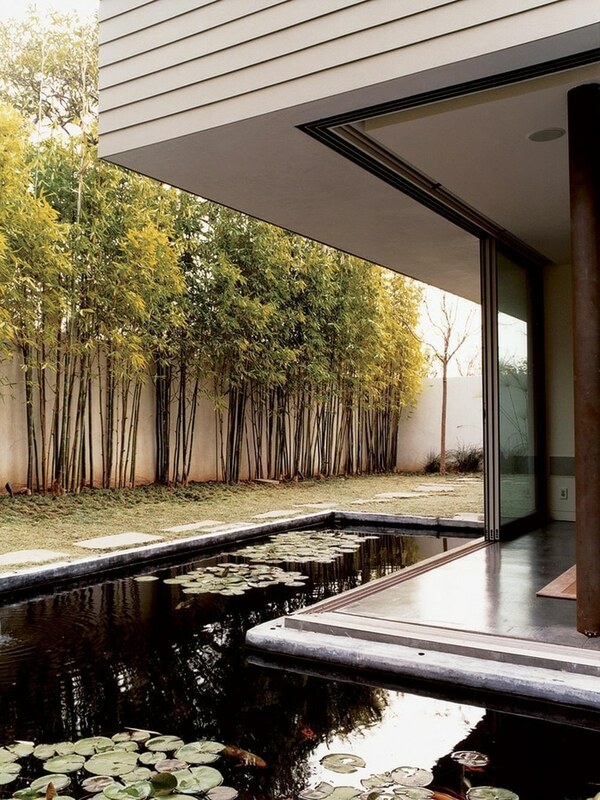 When Craig Ehrlich decided to build a dream home in his native Southern California as a respite from his crowded digs in urban Hong Kong, his priorities were to maximise garden space and blur the division between exterior and interior, while staying true to his sustainable ethos. 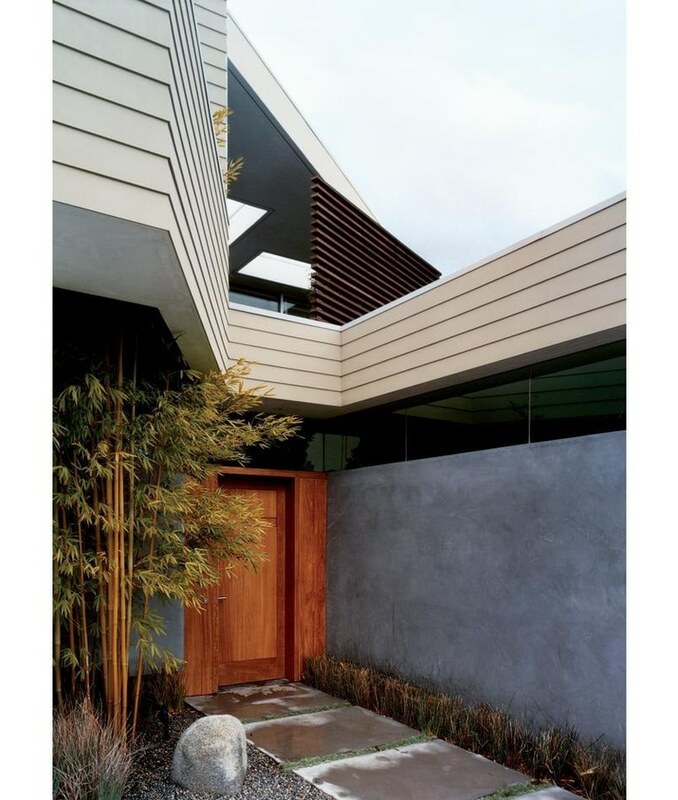 The expat entrepreneur already owned a corner plot in Santa Monica, just 15 blocks from the beach, but the existing house on the site was ‘a dark and mouldy 50-year-old ranch’, as architect John Friedman, of Los Angeles firm John Friedman Alice Kimm Architects, rather unkindly referred to it. Friedman and Kimm tore down the structure, then set the new home deep in a corner of the lot, allowing as much space as could be afforded for the garden. To heighten the sense of the dwelling as a retreat, an 8ft wall emerges from and wraps around the house, protecting it from prying eyes. The architects then articulated the exterior of the house with curved edges and large windows to provide a fortress-like appearance and retain a neighbourly aspect. 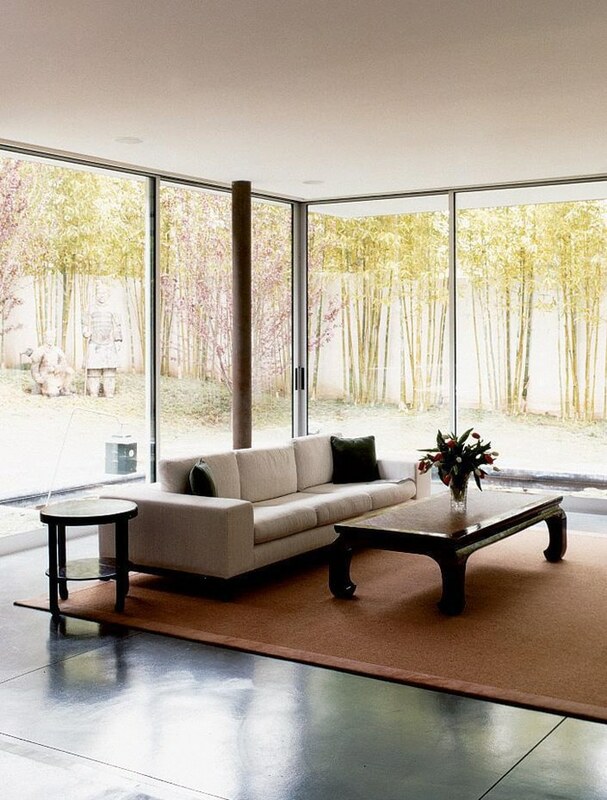 While the home maintains its privacy from the street, the interior is very open. Ehrlich made it clear that he didn’t want ‘the notion of rooms’, Friedman explains, so there are large undivided areas with high ceilings and simple white walls; only the bedrooms and bathrooms retain a modicum of modesty. 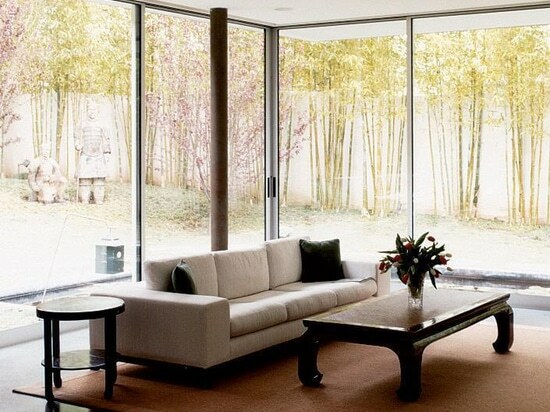 Massive sliding glass doors on two sides of the living room meet at one corner and open out onto the garden, merging gracefully with the koi pond situated directly outside. As well as housing fish, the pond also acts as natural air-conditioning; breezes are cooled as they pass over the water and through the house. 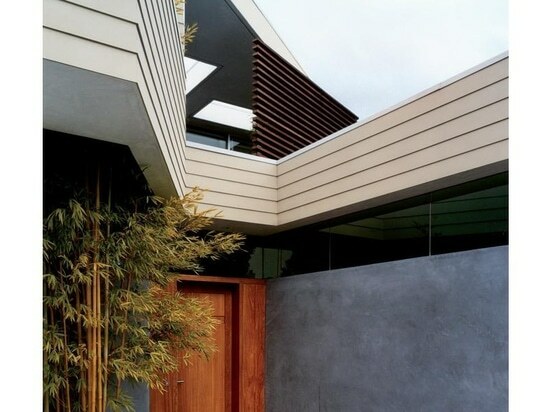 In fact, there are no mechanical temperature control systems in the house at all, thanks to a series of smart design decisions: motorised skylights were placed at the top of the stairwell to let out hot air; smooth cement flooring and exterior cement siding absorb heat during the day and release it at night; careful siting of the house means that no large windows face the sunny west; and generous overhangs prevent lingering summer sun from entering the home. To make the most of the views, floor-to-ceiling windows frame the outdoors to give the effect, as Friedman puts it, of ‘being at one with the garden’. 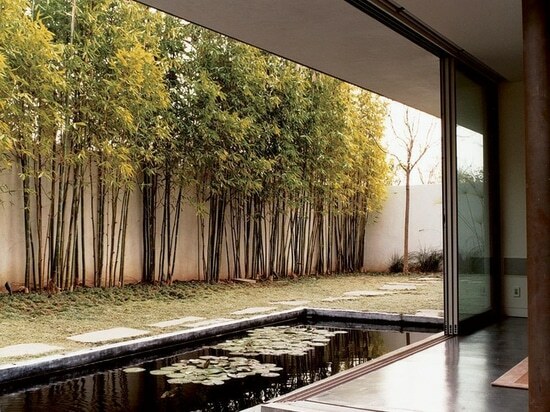 Eco-friendly elements are seamlessly integrated into the home. In addition to the natural heating and cooling set-up, there is a photovoltaic system on the roof, which provides up to 85 per cent of the house’s energy, recycled denim insulation in the walls and, most innovative of all, a grey-water system that collects and filters all the waste water from the house (except that in the toilets and the kitchen sink) for re-use in the landscape. It was the first such system in the city, and one that is still admired by other architects and proponents of sustainable design who happen upon it. As testament to the architects’ success, Ehrlich couldn’t be happier with the house he now shares with his young daughter, Leah. ‘I have the ability here to walk from the inside to the outside without feeling a dramatic change,’ he says. It is, indeed, the ultimate exercise in California living.